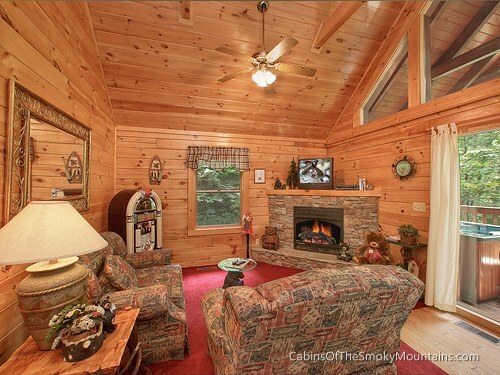 “A Touch of Class” is a cozy 1-bedroom cabin nestled in the trees just outside Gatlinburg, Tennessee, in the beautiful Black Bear Falls Resort. 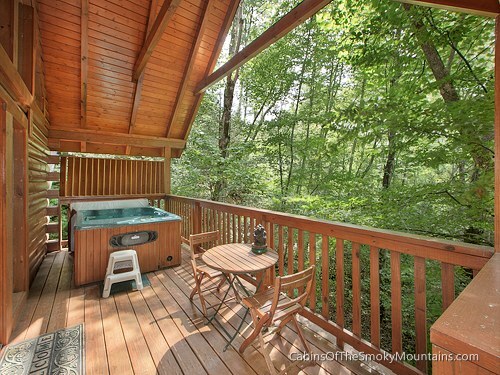 The setting offers lush wooded views, all from the comfort of the hut tub on the deck. 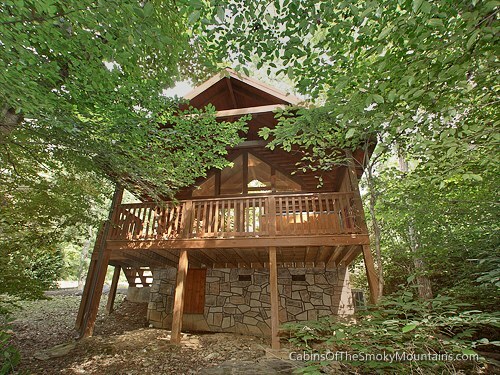 It’s a charming cabin, made for simply hanging out and relaxing – perfect for a couple spending time together. 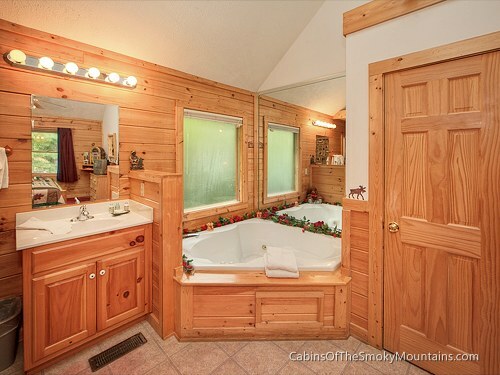 Here are some photographs of the cabin. Note the jukebox in the living room!